Update: Sailfish OS Haapajoki is now released to Jolla phone, Jolla C and Jolla Tablet devices. We have great news for our early access people! You can now download the latest early access version of Sailfish OS, named Haapajoki. Haapajoki is a 25 kilometers long Finnish river, which lands in the Bay of Bothnia from the city of Raahe in western Finland, one of the 10 historic wooden towns remaining in Finland. Again some Finnish trivia for you to remember. The update Haapajoki is made mainly to fix a number of vulnerabilities and to upgrade code libraries. It basically is designed to be a baseline for future updates, which will bring significant architectural changes, and therefore the number of features in this release are few. 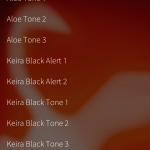 On new features, we have now added more default tones to sound settings, which you can select for your ringtones and different alerts (see screenshots below), increased zooming range in Documents app and added the ability to delete incorrect entries on browser’s search history. Before updating, we recomment to empty 3-4 GB of storage on your phone. To do that you can e.g. move your pictures and videos to your SD card, PC or cloud services. We also recommend you to turn the option to save pictures and videos to memory card on. This can be done in Settings -> Apps -> Camera. This feature will help you avoid emptying your device’s memory every time before an update becomes available. You can read the full changelog and bug fixes at here. The value of updates would be much better with devices. The community of Jolla would be much bigger with at least full refund of tablet. A perfect case would be the truly open source of SailfishOS. At least as Android. Check Other examples and look at itself. @tojocky: Please don’t spoil this top. Your input has *nothing* to do with the topic. It has actually… because the community will be less and less if no changes in the path road. I really want to support this project, and even can agree to forget about the second refund and consider to spend more money and time if it will be truly open source, as it advertised. I beg to differ, Tojocky’s comment is very much relevant. Jolla did not draw any lessons from their miserable experience over last 3 years, and this fact should be the more upsetting and frustrating to you the more *YOU* care about Jolla and Sailfish. – The system that was, and is, always advertized as “open”, is actually more closed than Android. Promises to open the source are given again and again ever since 2013, like a frigging carrot dangling in front of my face. It was pointed out time and again that it’s entirely possible to publish the source code under dual (commercial+GPL) license, like a number of other successful projects did (e.g. Qt). The answer is always “we are looking into it”. – The store STILL doesn’t have support for paid apps, after THREE YEARS and 560 votes for this “feature” on TJC. How in the world one can expect evolving ecosystem when developers don’t even have any way to earn money?.. – How in the world one can expect any growth in popularity when there is no way to buy a fully supported Sailfish device?.. – And so on, so forth. Years pass by, and instead of fixing these fundamental issues, or at least patching the GAPING holes in the Sailfish functionality, we get another Jolla C Ambiance Competition. So yeah, I concur with tojocky that the situation is slowly drifting from “alarming” to “desperate”. I would like to say congratulations to the Jolla team with Engadget’s news that the Russian government as well as other countries who want privacy from the U.S. companies known as google,Microsoft and Apple spy network, are going to adopt Sailfish OS and work with Jolla to beef up security. I think this news should at least rate me a C even though I live in the other Finland, of U.P. of Michigan. U.S.A. Until then I shall just use a flip phone or throw myself on a pointed Galaxy Tab. @tojocky You are hypocritical. Timetable already exists for tablet refund. It does not just magically happen like in computer games. @alloj Well they sure seems to be doing good job in spending our tablet money. Or did they continue their business with some magic monopoly money. Actually, it’s you who is being hypocritical. If my memory serves me right, a year ago it was *you* who was condescendingly telling the IGG backers that their measly $2.5M is a drop in the ocean, because a team of Finnish programmers consume this amount of money during a month or two, so we should shut our yap and not pretend to any rights on Sailfish 2.0. And now, suddenly, this very amount of money – its half, even – is so precious for Jolla that it has to postpone its refund for a frigging year. I’m not pretending I have any rights to Sailfish os that is not what I funded. I funded a tablet project which money was used on sailfish os. All I want is my money back that was scammed from me by advertising a tablet project. They should not be allowed to continue in business and just take our money away where we did not contribute it. I’m seriously considering opening a legal case against them in Finland as they have broken many laws with faulty advertisement and empty promises, but I really hope this doesn’t have to end like this as I really like Jolla products just hate how they treat their customers. We trusted them again. And then again and again. They said we would get it more times than anyone dare to say here. They said they might have some positive suprise for us, still nothing. Trust goes both ways. The only poeple I trust is James and stskeeps. They don’t behind the the walls with empty promises. @Dave666: Many of us have the positive suprise in their hands. @Mr Ossi1967. No doubt, Did you win a tablet in the lottery? @Dave666 Why are you talking about the tablet now? (Yes, I own two of them.) The “positive suprise” had nothing to do with the tablet, it was the new phone of course. becouse what you got is pretty irrelevant to most other people. Especially since it not for sale to all, if it would have been part of the refund it would have been a positive suprice. But hey, let’s leave this here. Dave666 You are obsessed with what I have and how I got it. I didn’t mention this. The point of this conversation is that you lied *again* (like almost always) and claimed that the “positive suprise” announced by Jolla earlier never became reality. Truth is it did. Just because you don’t know (or more likely: cannot put 1 and 1 together) doesn’t mean it doesn’t exist. It would help if the money hand gone where it should have gone. I would have no problem with that, but the money went elsewhere with bs promises and that is a scam. And still one can’t make promises where one says you WILL get a tablet if it is a you MIGHT get a tablet. There is a big difference with those two words and Jolla kept telling YOU will many times after user agreement and that is wrong and illegal in Finland and you know it. @James how about an update on the BLOG or via e mail to all the backers still waiting on the full refund. All your users get annoyed by us demanding the promised refund. You might just want to solve this once and forever, think both parties would benefit, don’t you ? Downloaded, installed, no problems. Even if the number of new features/bugfixes isn’t breathtaking this time 😉 I find it comforting to see how vulnerabilities are consequently being addressed. Keep up the great work! Yes this update did not contain too many new features but it was extremely important for the next big update that we are planning to release after this. Hope you enjoy this update so far so we can deliver more soon enough! Will there be significant changes in the next “big” update? and in what direction is the update ment? Exactly, I rather have vulnerabilities fixed in a timely manner. This is a very good sign. Thank you, sailors, for keeping on course! Hi James. I use only stable one without no data or almost no applications. Even so the two previous ones Didn’t work at all. Please make sure this one works before punching the button. On the other hand all of the previous updates before worked perfect. So thx for that. So maybe you save money in quality to afford refund before new year. If so you have my complete support for doing that. Sorry I did not understand what you are trying to communicate, do you mean that the previous update sis not work for you? The one before Fisk destroyed my installation and I had to use recovery mode to even start the device. Fiskars couldn’t update becouse your infra wasn’t working and tricked me to waste even more time. What previous post. I do trust you it’s there. I just cant find it. Oh now I remember what you mean. Yeah sorry about that, hopefully the rest will go well! “Guys, thanks for your inputs and speculations but I’ll have to point a few things out. Let’s not talk too much about the refunds on this post since it’s irrelevant to this post. I’m happy with the refund for now, maybe I get more luck with refund info in next blog post. Yep, Sounds good. What do you think it is, James? Or was it Jolla C? I was not in the company back when that was said and unfortunately I do not know what it was that Mr Saarnio was referring to. Is any plans to make SailfishOS truly open source as it advertised? I think this is the only option to compete with Android. Having both devices, I would say that now Andoid is head to Apple’s iOS with the stability and features delivered. There are always plans for making the OS truly open source. It is not an easy task but I assure you, we are working on it harder than ever. Whether it will actually happen in the time frame you want I am unsure but let’s wait for an official word from us when it’s clearer. Thanks a lot James for this update. I really appreciate it and hope this will happen soon. Not a big deal. 2 contradictory statements about “2017 roadmap”: “Overall our Roadmap is a lot dependent on the customer projects we will sign up” is not compatible at all with “Open sourcing is one big item that we hope we can proceed in steps during next year (2017)”. I doubt it will be truly open source in 2017. Both only fore early versions, none of the folks that can directly update to the new version will be affected by. Can you please clarify this from now on so folks don’t always take extra steps no longer necessary? Current Phonehook does no longer interfere with anything the updates change and patchmanager automatically reverts patches prior to update if I’m informed correctly. I would love to see my wallpaper in background or the color ambience when i open the app grid ? what do you think James ? You can submit your request on together.jolla.com 🙂 I think it could look alright! If you install Patchmanager from Openrepos, you can the apply a patch from Alina, also on Openrepos, his patch changes the launchers background to the highlight colour of your ambience, but it has a dimming effect, so app names and icons stand out nicely. Keep up the good work sailors. Hi James looking forward to breaking updates! 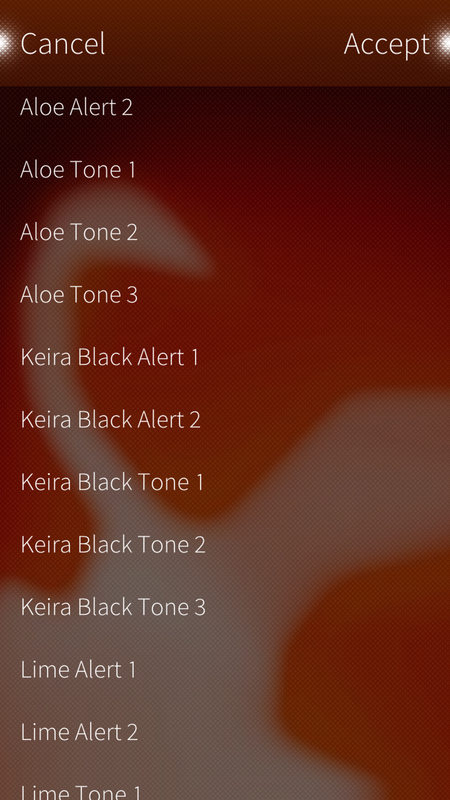 Btw I have one problem: my Jolla is not getting better, but starts having probs. What can I do to get a new phone, let’s say next spring, with full SailfishOS support? Please say something at least to the future of you – Jolla – together with Fairphone. I don’t want a future without full supported SailfishOS! Aqua Fish is no option comming from Europe…! We are constantly working with our limited resources to make Sailfish OS available to the masses. Please bear with us and we might have solutions for you in the near future! Hi there, thanks for this, but the Aqua Fish phone is not designed for the european market. It lacks afaik e.g. LTE connectivity. No complains here, my intex aqua fish shows me a 4G icon in the upper right corner near the sims card icon. Just did a velocity test, I got 54Mbits download and 11Mbits upload. I’m from Portugal. My SD card doesn’t get detected. When I go to settings and look at the storage information, there is no SD card there. I’ve tried to remove and insert it while the phone was off and while it was on, but that didn’t help. It’s the 4Gb SD card I used for my nokia n97. Could this maybe have to do with nokia n97 using a different file system format? What is the format of your SD card? Do you have it formatted to FAT32? To be honest, I have no idea what format it is. I only know that it uses the format that my nokia n97 gave it. Unfortunately my n97 is broken, so the only hardware I have that can read the SD card would be my Jolla phone. Is there something I could do with my Jolla phone to properly answer your question? I guess I will have to enable developer mode for troubleshooting this problem and then execute some terminal commands, but I’m not really an experienced linux user, so I’m afraid I will break something. Kind of the chicken and the egg problem. The easiest way is if you can get your hands on some card reader, then connect it to your pc and use some software with a graphic UI. Our if you could get hands on some other card to try it on your Jolla, to see if it works. I guessing the problem should be your card needing to be formated, or maybe it’s just broken. Unfortunately I cannot get my hands on an SD card reader and I don’t have any spare SD cards. I would prefer if I could resolve this issue without having to buy any additional hardware and I don’t think the SD card is broken. So it should be possible to do this with the phone itself. I just don’t know how to troubleshoot this in Sailfish OS. Nice to see updates coming more frequently again :). I dont really care wether a specific feature is delivered a little sooner or later. To me it’s more important, the work goes on. Yes, as promised, we are now delivering updates in a faster pace than before! I see Nokia has ‘officially’ announced they are to enter the smartphone market again in 2017, one of your potential OEMs James? Whatever, thanks for your hard work at Jolla . having Sailfish powered Nokia device – with _good_ camera and official Jolla support – would be instant buy for me. I think it would be more beneficial if Jolla could come up with solution how user can easily deploy full Sailfish for supported 3rd party devices with Alien Dalvik, Exchange support, etc. Can we PLEASE PLEASE PLEASE get an update about the tablet refund ? @Maikel: Sure, no problem: The second half will be paid 1 year after the first, provided they have the money to pay it at that time. That’s the latest news. ossi1967 You funny funny clown .. did they allow you out of the psychic ward again for your annual trip out ? Again if you like to be taken from behind by your favorite company does not imply this is normal behavior. I know in your little messed up world you this is your reality, but the normal grownups do not accept this. Still no official update regarding the refund? For awhile it seemed Jolla was doing better with communication, but it seems they’ve slipped back into the terrible habit of staying silent again. I just want to know if I can quit wasting 10 minutes of my life every week checking the blog for any nugget of information regarding the tablet refund. @NAKATTACK Communication also means that you need to listen and understand. James explained the current situation of the 2nd half of the refunds recently. (Not for the 1st time, btw.) There’s no use repeating the same over and over again if you state here proudly that you don’t listen (or don’t understand, whatever it is). Hi Ossi, can you link to official news regarding the refund? @NAKATTACK you pretend to be interested in the topic, yet you don’t even read the information given. Technically I cannot link to this information as I don’t know how to link to individual comments here. But you only need to scroll up, James’ post (from about 1 week ago) is right there. This updated worked great. No factory reset at all. Solid! Ich wollte einfach mal DANKE sagen für eure Arbeit an Sailfish. Es gibt zwar noch genug zu tun, aber ich liebe bereits, was ihr bisher geschafft habt. Just wanted to say THANK YOU for working on Sailfish! There is still a way to go but I already love what you have got made! Thank YOU for your amazing comment! We really appreciate it! https://sailfishos.org/updates/ should be updated, either with information about updates after January 2016 or with a note to state where information about later updates can be found. Thank you for reminding us, I just updated the page using data from our blog posts to keep it consistent. we will make sure to update that more frequently. Would have been SOOOO Nice If I could try this too. But I only financed this update, never received the hardware. So enjoy this update paid by all tablet backers ! LOL, as is there would be more than a few tablets. Still waiting for the other half of my REFUNDS! Same here… eagerly waiting for update for Aqua Fish. Now available for Intex Sailfish too. Nice OS..quite helpful for using…correction should be made in updates like..sharing of file via hotspot(using shareit or xender), and release volte support..